ConocoPhillips gifts of time and money benefit hyenas, elephants, giraffes, apes, hippopotamuses, fish and other residents of the national zoo of Malaysia, Zoo Negara. 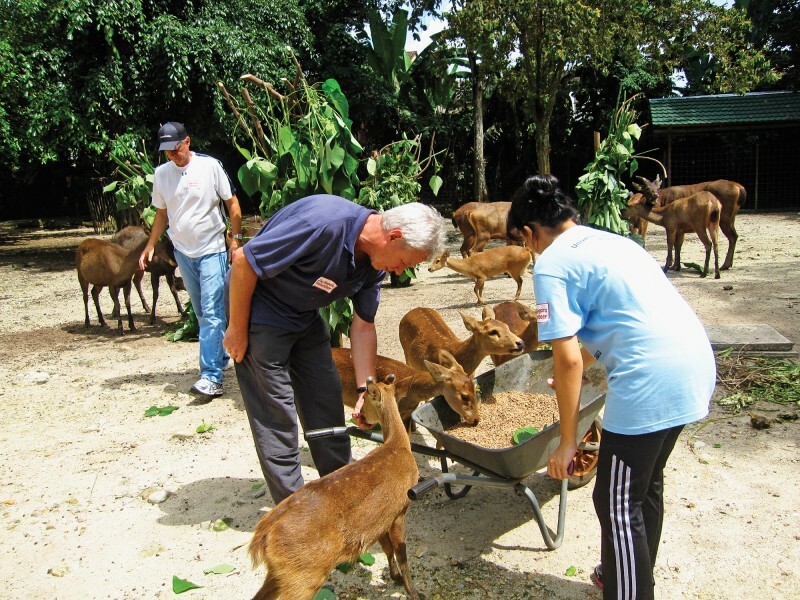 Working with volunteers from a local university, ConocoPhillips employees and their families cleaned enclosures, prepared food and fed the animals as friendly capybaras and deer roamed freely. ConocoPhillips Malaysia, also presented a donation to zoo officials and Zoo Negara's Katie, an orangutan who was happy to pose for photos.